Citrus County Plants, Color Country Nursery in Lecanto Florida offers Plants, Shrubs, Trees, Annuals, Perennials. Color Country Nursery is conveniently located in the heart of Citrus County Florida on Highway 44 just two miles east of highway 491. 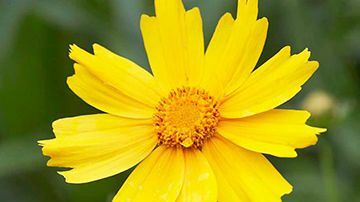 A trusted source for plants, trees, shrubs and planting advice for years, Color Country Nursery offers more than just a wide selection of plants. Color Country Nursery also offers Landscape Consulting, Nursery Stock, Plants, Trees, Flowers, Unique Plants, Mulch, Pine Straw, and Landscape Rocks. From annuals to perennials, the knowledgeable staff at Color Country Nursery can help advice you on which plant or tree is right for your specific needs. 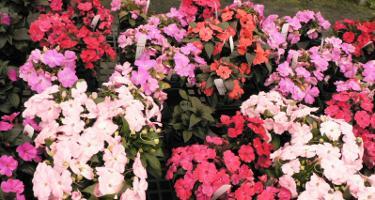 The experts at Color Country can offer you advice on how to plant, water and fertilize your new purchase. Color Country Nursery in Lecanto, Florida serves customers in Lecanto and throughout Citrus County and the surrounding area. People from miles away know that Color Country Nursery is where you can find a huge selection of quality, healthy plants of all kinds. And with over 5 acres of nursery to shop, you are sure to find something for everyone! Get A 150%++ Return On Your Investment ...Think Landscaping! One of the most effective ways to enhance your home’s curb appeal and increase the resale value is through landscaping. Numerous studies show that an attractive landscaped home will sell faster AND for more money than a similar home that is not landscaped! What’s a good landscape budget? Take 5% of your home value and spend it on a low maintenance but quality landscape and the value of your home can increase in resale value by as much as 15%! This will earn you back 150% or more on your original landscape budget! Another trick to watch your return on investment grow is to plant a tree! For example, take a single 3 gal live oak tree purchased for $12. This same tree will be worth at least $500 in replacement value in 5 years...$5000 PLUS in 15 years...I’ll let you do the math on your return on investment! Did you also know that when mature, one tree will be EQUAL to 15 one ton A/C units? All this value and we haven’t even discussed the aesthetic value, air purifying or animal attraction properties of just one plant! While trees of any type are probably the most important part of your landscape, the rest of your lawn can also be of much INTRINSIC value. From the hedges that provide sight and sound barriers, to the flowers that add PRICELESS pleasure to the soul and feed the hummingbirds, bees, and butterflies! Time to get outside and start INVESTING in something that WILL give you a SURE POSITIVE return! The staff is very well informed and helpful and will be glad to help you pick out what you need in order to achieve the look you are going after. They will help you make your landscaping dream a reality. The quality of their merchandise has always been very good. The staff is very friendly and knowledgeable. There is a much better selection than what they have at Home Depot/ Lowes garden centers and great prices! Customer service is great! All of the areas are nicely laid out and it's easy to find what you need, or just enjoy looking around.